When you eat clean you will be eating unprocessed, whole foods that are prepared or cooked in ways that don’t add extra chemicals and toxins. We are talking about fresh fruits, fresh vegetables, lean meats, meat substitutes like tofu, soy, whole grains, lots of water, healthy dairy and fresh juice. We will avoid fried food, fast food, junk food, bleached white flour, artificial ingredients, soda, commercial juice and sugary drinks, processed sugar (white sugar, corn syrup), and foods with preservatives, toxins, dyes, saturated fat, and trans fat. You will likely be cooking at lot of food at home, making green smoothies, eating salads, eating healthy snacks, and really realizing just how healthy you’ve really been eating. It’s not about perfection…it’s about making healthy choices. The following food list is from my ebook on Clean Eating. The foods are broken down by category according to the main food group they consist of. 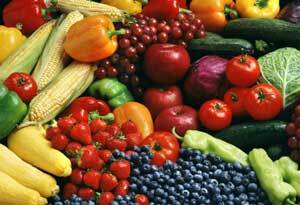 If you can form your diet around these foods, you will be following clean eating principles. This list is not a bible. You want to use it as a guideline for clean eating, but ultimately, you have to find what works for you. Use this list as a starting point. We’ve also posted a free 4 Week Clean Meal Plan. Basically there’s NO restriction here – as long as it’s fresh and in its natural state, it goes! These should form the bulk of your diet plan. Try to eat organic if you can. You can also have unsweetened dried fruit. Whole grain bread, pasta and cereal – in moderation. Look for unbleached grain products. Please be mindful of your known food allergies and avoid any foods you know you have health issues with. In addition to the list, you can use any assortment of vinegars, hummus, mustards, sodium-free spices, etc. to help boost the flavor of your dishes without adding any ‘unclean’ ingredients. *Note that some individuals may be lactose intolerant and will need to avoid dairy in their diet plan. When that’s the case, go for almond milk, coconut milk, or rice milk instead and avoid all cheese variations. Also, avoid low-fat dairy. Most have additives and chemicals added in to replace the fat that you should avoid. This is very common with so called “diet” products. 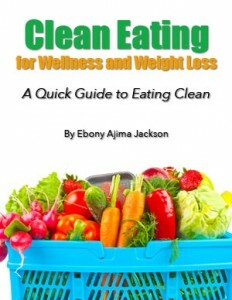 You should check out Tosca Reno’s Eat-Clean Diet series for more information about Eating Clean and weight loss success! Why is fat free sour cream not on the list? Is it a VERY bad choice? Fat free dairy has added sugar to compensate for the fat. Its better to eat whole dairy and cut down the portions. I’m 17 and i weight about 250lbs what can i do for the Summer to have me looking good as when i return back to school as a senior!!!!!!!!!!!!! Go bike riding every day with a girdle on for 3 or 4 hrs or do Zumba. Eat half of everything you eat. I need so much help. I am 400lbs. I’m addicted to food and especially sweets such as cakes, cookies and candies. I have no energy from the time i wake up until the time i go to bed. I sleep all day on the weekends. I get up to eat and go back to bed. Where do I really start when I’m so addicted to nothing but food. Set small goals and cut a few things out at a time. Dont try to do a quick fix. Be in it for the long haul. That’s supposed to say sugar free gum. Liquid B-12? Where to i find that at? GNC maybe? I will google. Thats what I need. Energy. I weigh about 255. I want to start ona boot camp that my sons friends does. He says i can go at my own pace – but i still want to have some energy before i start. I want to get off some of these meds that i am taking and loose this weight! My name is Tyra. I was the same way about a year and half ago. I would say check in with a dr.nfrist. But start with small changes. Stop eating sugar or stop eating fast food or stop eating soda. Pick one and see what a change it makes in how you feel. That is what I did, I liked how my body felt and so I made another small change. I started at 185 I am now down to 160I want to get down to 150. But the way I feel is amazing, I can move more I exer miore. I feel. Better about life. Let me know how you do. Remember it is not about the clothes, it is not about the weight it should be about being healthy. Healthy body. I want to be around to see my Great grandkids. The first thing is that you need to be ready mentally to make a change. You need to be ready to make the LIFESTYLE change. The second step is to change your diet through smaller portions and smarter choices. Easiest choices are drinking 64 oz. Minimum of water per day. Incorporate vegetables in your meals. Remember that dieting doesn’t mean to starve yourself. The third biggest thing to do is to be more active than you are inactive. Walking, body weight exercises such as arm raises, seated leg raises. Simple body movement to train your body in muscle recruitment. That is the safest way to start. Speaking as a personal trainer. As far as energy goes, the more you do the more you feel like doing. It’s tough to get started, and don’t expect much because it happens slowly. But it DOES happen. No supplement is guaranteed to help with this. You have to force yourself to, say, park a couple of spaces farther down, deliberately walk the long way, etc. Only YOU can change you. I’ve been on a medical weight loss program and it’s one pound average a week, and my doctor can give me all the advice in the world (and she does) but says ultimately it’s MY choice, MY decision to give in to the addiction or walk a little more….or not. I was frustrated with the slow weight loss, but guess what? After six months, I weigh less than I have in years. Slow is better than no, and it’s the only way it’s gonna stick. I had to change me. YOU have to change you. Try Overeaters Anonymous. They even have phone meetings, it’ll help you get in touch with your overeating. And being sure you not afraid to change today. Stop saying tomorrow. And realize it takes making changes. Gotta get out your comfort zone. Hi, I am 198lbs and I am 41. I know how to get healthy, the problem is staying motivated. This time I have a made up mind for sure. I started a HITT class, I go to Zumba, I workout with my Wii Fit Plus and Zumba 2 as well as using my Fitbit daily to keep me accountable. I don’t drink anything but water, green tea and red wine. I don’t mind healthy foods. I don’t eat red meat etc. The issue is now that I have way more exercise, I am not losing weight. I measured myself today because I can tell I have lost inches but I need the pounds to melt as well. According to my measurements, I am an advocado shape. Hadn’t heard of it until today. I used to be hour glass 🙁 Today I set my phone to alert me every three hours to each some sort of micronutrient rich food item. Is this wise and is there anything else I can do to jump start the pounds….or just be patient? Be patient. The exercise causes the body to gain dense muscle, so it may seem as if the weight isn’t going anywhere. Check out the portions of your diet as well as the content. Exercise makes you hungrier and may cause you to eat more than before. I’m in the fight myself and it is frustrating NOT too see the weight disappear but I remain patient because I feel physically and mentally better. Keep it up and don’t give up, it’s worth it. GOD bless! Can liver be eaten on this I just did not see it under meats. Sure! You can eat liver. Are frozen vegetables okay to use with this plan? Yes. You just want to look for the frozen veggies that don’t have salt or sugar added.